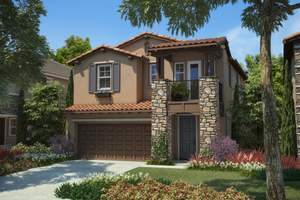 ANTIOCH, CA--(Marketwired - Jul 9, 2013) - This Saturday, July 13th, be among the first guests to preview Oak Crest at Hidden Glen when the Sales Gallery opens to the general public for the first time. William Lyon Homes is introducing brand new, single-family detached residences in this popular, established Antioch community and this Saturday is the perfect opportunity for eager homebuyers to get a closer look at Oak Crest's architectural renderings and to meet with the sales team who can answer questions regarding pricing, floorplans and upcoming phase releases prior to the fall model grand opening. For additional details on this highly anticipated new home address, visit www.LyonOakCrest.com and click on the box labeled "Get on the Inside Track for Oak Crest" to join the growing interest list. "Oak Crest will offer the immeasurable benefits of a brand new home, prices anticipated to start from the high $300,000s, and a naturally tranquil setting that is conveniently close to important destinations," said Kathy Floyd, Director of Sales for William Lyon Homes. "Buyers who want to become more familiar with Oak Crest's spacious designs and beautiful features before the beginning of pre-sales and the fall model grand opening are encouraged to visit the neighborhood's Sales Gallery this Saturday starting at 10 a.m. It is definitely an exciting first step for prospective Oak Crest homeowners who can view displays that offer a more in-depth look and overview of the neighborhood's impressive selection of floorplans." Oak Crest at Hidden Glen will introduce five detached home designs that will range from approximately 2,049 to 2,731 square feet of two-story living space, with three to five bedrooms, up to three baths and two-car attached garages. Individual floorplans will offer the convenience of a first-floor bedroom and bath. Finely appointed interiors will include comfortably sized great rooms adjacent to large open kitchens that feature a generous island. Homeowners will also have the advantage of all new construction and the peace of mind associated with long-term builder warranties and the commitment of an established homebuilder. The family-friendly Oak Crest neighborhood is set amidst the rolling Diablo foothills, conveniently located near Highway 4 and approximately an hour east of Oakland. Nearby Sand Creek Crossing offers a popular destination for retail and entertainment, and residents can enjoy a range of recreational opportunities close to home that include the Antioch Water Park and numerous public golf courses. Oak Crest is included within the Antioch Unified School District; students will attend Carmen Dragon Elementary School, Black Diamond Middle School and Deer Valley High School. Broker will receive a $10,000 flat referral fee per closing. Brokers must bring client on first visit to register for broker referral fee. Buyers cannot be registered online prior to first visit. Broker referral fee to be paid at the close of escrow. At the recent 2013 Eliant Homebuyers' Choice Awards, William Lyon Homes was honored with 20 awards, more than any other builder at this event, in a diversity of top categories ranging from overall construction quality to an impressive selection of designs and amenities. Eliant is a leading provider of consumer research who surveyed more than 76,500 homeowners regarding their experiences with 148 major homebuilders across the U.S. and Canada. To visit the Sales Gallery for Oak Crest in Hidden Glen, travel north on Highway 4, exit Hillcrest Avenue and turn left. Turn left on Hidden Glen Drive, right on Braemar Street and left on Dundee Street to the Sales Gallery, which is open daily from 10 a.m. to 6 p.m. and closed Monday and Tuesday. For more information, please call 925-777-9955. Prices are effective as of the date of publication. All homes are subject to prior sale. Prices and availability of homes are subject to change without notice. BRE Officer License: 00982816. Oak Crest's Sales Gallery opens this Saturday, July 13th, to the general public for the first time.